Henna is a small tree native to tropical areas of Australia, New Zealand, Africa and Asia. When introduced to an acidic liquid, dried and powdered henna leaf yields a stain that has been used as hair dye for more than 5,000 years. Unlike chemical dyes, henna coats the hair shaft with a protein called hennatannic acid. The result is subtle and semi-permanent color that fades in a few weeks. ingredients A blend of: Lawsonia inermis (86%) and Indigo (14%). storage tips Keep in container with a tight-fitting lid and store in a cool, dark place. 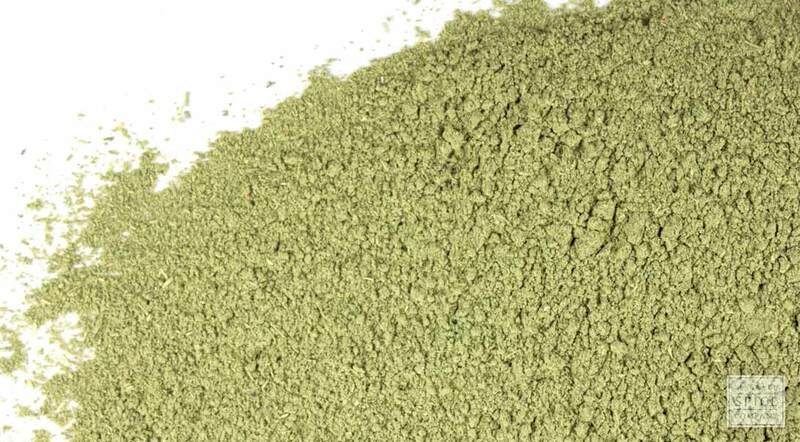 appearance & aroma Light beige-greenish powder. cosmetic Use to add depth and highlights to dark-colored hair. Henna refers to the colorant produced from the dried, ground leaves of Lawsonia inermis, a small shrub native to Asia and northern Africa. Since the time of Cleopatra, henna has been used to dye skin, hair and nails. The coloring agent in the plant that is responsible for depositing a natural and temporary dye on the hair is hennotannic acid. However, because this agent yields a bright, orange-red color of Lucille Ball fame, other herbs are added to henna to achieve different shades. In this case, henna formulated to produce a semi-permanent black hair color contains a small amount of Indigo, a plant in the pea family.